Pollett Furniture Manufacturers are proudly NZ owned and operated family business, with over 40 years experience in the office furniture industry. With so many years of experience, at Pollett Furiture we really know our stuff! 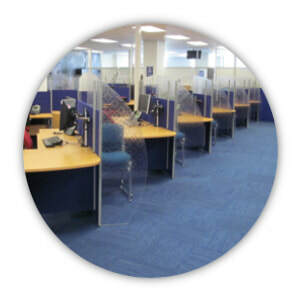 If it is office furniture related, we can supply it. We design and manufacture quality office furniture and joinery on site in our fully equipped factory- no job is too big or too small. Whether you need furniture for your home office, are looking to replace your current office chair or desk, need a table or chairs for your meeting or boardroom, need a new reception counter or are wanting a complete office fitout, we can take care of the whole process - from design to installation. 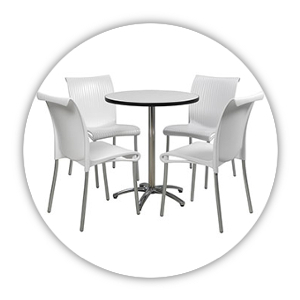 We supply furniture NZ wide, so give our team a call today and let us do all the work for you. Most of us spend hours at our desks, and there is nothing worse than being uncomfortable while you work. 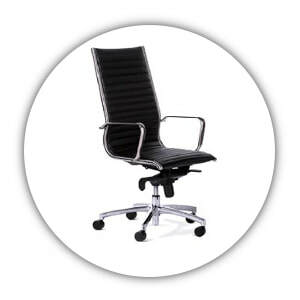 Your office chair is the most important piece of furniture you use at work, and at Pollett Furniture we have a range of quality office chairs to suit any budget. Our team is experienced in providing an ergonomic assessment for you, and can match you with a chair to suit your needs perfectly. Having an office desk that works for you is important. When choosing a desk or workstation, consider your needs - Will you be using a desktop computer, or do you work from a laptop or mobile device? 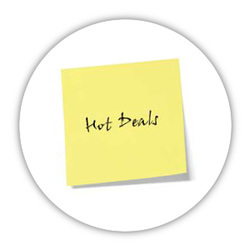 Do you need space for documents, folders or plans? Do you take meetings at your desk? Do you suffer from any issues that may require you to regularly stand while you work? 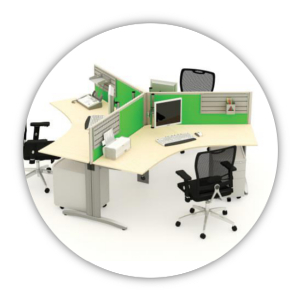 At Polletts we have a complete range of desks and workstations to suit any need. From the classic Epic slab end desks, to the Ultra Electric sit stand option, let us help you find your perfect desk. Pop in to our showroom in Onekawa, Napier or browse our website to view a range of desking options. ​From design to installation, we can take care of the whole process. If you are local , we offer a free measure up and quote service. One of our experienced staff members will come to you, view and measure up the space, discuss your wants and needs and offer advice based on our experience. We will then provide a written quote, including installation, if required. If you are out of town, we can work from drawings or plans to provide a quote for the items required. We have teams of experience and qualified installers who carry out installation work on our behalf. We have vast experience. We do work for very many companies, local and regional councils and various government departments across the country, including NZ Police, Department of Internal Affairs, Inland Revenue Department, Ministry of Education and Ministry of Social Development. 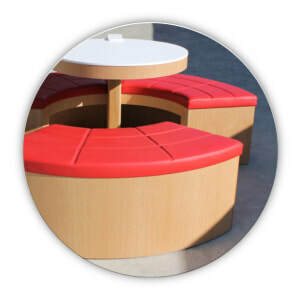 ​The majority of furniture we supply has been made to order in our factory in Napier. 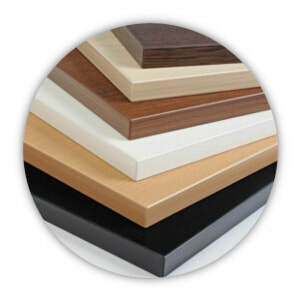 Available in a range of Melteca and other Melamine colours, there is very little limit to what we can manufacture. 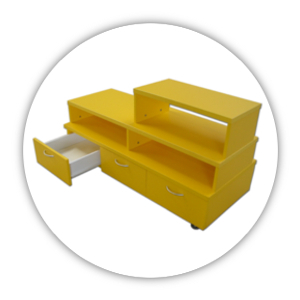 From reception counters, desks and workstations to bookcases, credenzas and cupboards - the size, colour and design can be customised to your individual requirements. At Polletts, we do more than just office furniture and supply a range of furniture and joinery items to businesses around the country including hotels, hair and make-up salons, schools, tertiary institutions, offices and more. Browse our "Projects" and "Custom Made" pages to view some of the work we have completed.